Venezuela is a relatively small country located in South America, with a population of just over 25 million people. This tropical treasure's neighbours consist of Guyana and Colombia, and the country borders both the Caribbean Sea and the Atlantic Ocean. 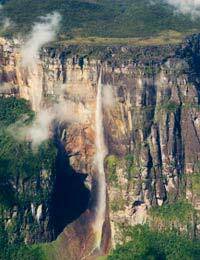 Venezuela is an explorer's paradise - the country boasts gorgeous tropical beaches, snow-capped mountains, spellbinding waterfalls, Amazonian forestland and a spectacular array of wildlife. So it is not difficult to find out why so many people chose to explore Venezuela. Of course, part and parcel of experiencing a country is meeting and interacting with the locals, so knowledge of appropriate etiquette is almost as essential as your passport! This article serves as a basic guide to etiquette in Venezuela. You may encounter many different Venezuelan dialects when travelling throughout the country - not surprising when you consider that around 40 different (indigenous) languages are spoken. However you may be pleased to learn that Spanish is the official language and lingua franca between all regional and tribal dialects. For this reason, if you have little or no knowledge of speaking Spanish, it will serve you well to learn a few conversational phrases. For instance, when greeting someone, it is good etiquette to use the time of day as your salutation, such as 'buenos dias' (good day), 'buenas tardes (good afternoon) or 'buenas noches' (good evening/night). Greetings in social situations will probably only require you to use first names. However, senior members of family or communities may require you to use formal titles. In a business meeting, etiquette means you should only greet using professional and formal titles followed by the family name, such as Senor, Senora, Ingenero (Engineer) or Doctor. Bear in mind that Venezuelans are a little more laid back than other Latin American countries, and this literally translates into their conversational style. Culturally, they tend to have a less formal approach than their other Spanish-speaking counterparts. Some Venezuelans may also be familiar with other languages such as English, Arabic and Portuguese. However, it would still be regarded as etiquette to be seen to make an effort with speaking the official lingua franca. Venezuela is the birthplace of the independence revolutionist Simon Bolivar, hence the official country title of 'Bolivarian Republic of Venezuela'. This is partly why Venezuelans are very proud of their nation. You should bear in mind that culturally, any criticisms of their country or political status, however well meaning, may not be taken light-heartedly. Also consider that family and community play an important part in Venezuelan society, so always treat all family members present in any social or business situation with the utmost respect. Culturally, Venezuelans tend to be very direct in the way that they communicate, which shouldn't be mistaken for curtness or brashness. In more social situations, they also tend to be quite vivacious and expressive with both their hands and faces. If you are in conversation with a Venezuelan, for local etiquette you should make sure that you maintain steady eye contact, as this communicates that you are interested and listening intently. A wandering eye or turning away from your counterpart will tend to be seen as impolite and signify disinterest, rather than shyness. The cultural attitude towards punctuality in Venezuela can be decidedly different to other cultures. Venezuelans are known for their relaxed attitude towards timekeeping, and this is widespread in their culture in both social and formal situations. Business meetings will not necessarily run on time, and if you are lucky enough to be invited to a Venezuelan dinner or party, it would actually be considered quite odd to turn up 'on time'. Arriving 15 to 30 minutes after the start time is the practiced norm. Many people may find that they have to exercise a lot of tolerance with this open and relaxed attitude to timekeeping, as at first it may seem frustrating. A similar ethos exists within the service culture. Although you may feel that some service quality is a bit lax or in some circumstances, unwelcoming, you should realise that it is not meant to be offensive! Venezuela as a country has a lot to offer the intrepid explorer, and is a nation of warm, friendly and open people. If you bear even just these few basic etiquette points in mind, you should be well on your way to experiencing a highly rewarding cultural encounter.